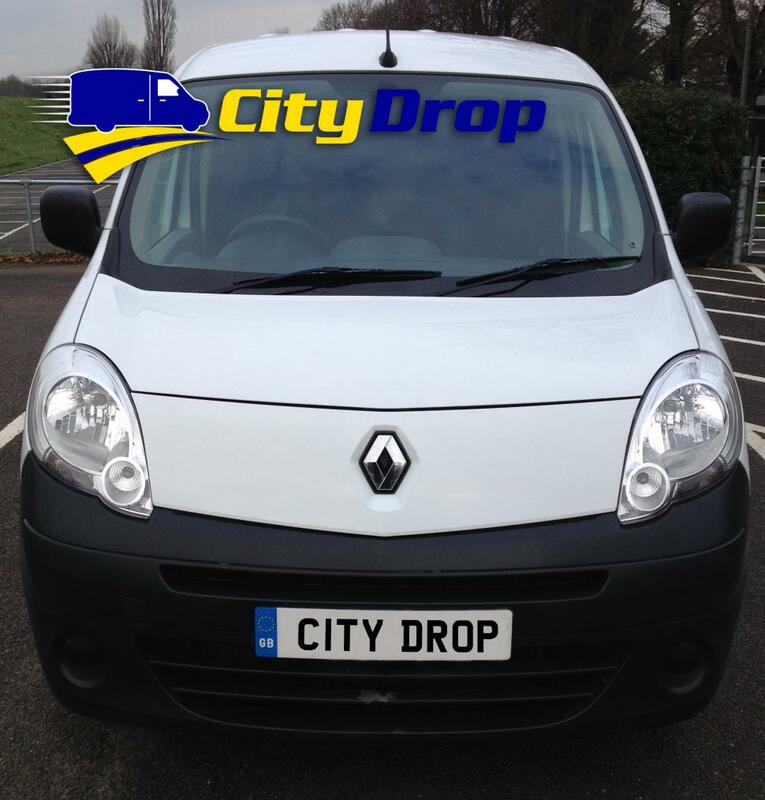 To make sure you get the best deal we'll show you great prices from all of our drivers, including City Drop Movers , if they're available on the day of your move. Have a question for City Drop Movers ? No problem, send them a message and they'll email you back as soon as possible. If you have a more general question you might find it answered in the FAQ, or you always contact one of our brilliant customer service team. * City Drop Movers won't be able to see your email address. Get the right professional help with our removals. We pride ourselves on delivering customer satifaction and ensuring perfect stress free removals. Let us take away the stress of moving and make your move effortless. Do you have a flatpack that needs putting together or a wardrobe dismantling? Professional Man & Van Service trained by the industries best B.A.R, We are higly experienced check out what our customers say about us. We're fully insured -unlike most Man with a Van members that's why we have the special gold member rating. We have all the equipment needed to keep your goods safe; blankets, strapping, trolleys and a vast amount of different tools to help us make your move effortless. We value our customers and our aim is to supply the best service possible, Just take a look at our reviews and feedback. The driver helped us move and was very efficient and organised, making the experience stress free. Luke was on time, he was efficient and very helpful during the move. Overall Luke was fantastic and we couldn't recommend a driver more! The driver was very helpful and made the move very smooth. He helped to move all the things. Luke was a little late but that was down to traffic and time of day. He more than made up for it, providing an excellent service and good company on the drive back to ours. Driver was running a few minutes late but kept us up to date - was very helpful and made sure all of our items were packed safely and securely. Considering we were moving house, it went as smoothly as you could hope for - worth every penny! Courteous, polite and professional. Had tool kit to unscrew items prior to loading. Will use again if required. Driver was careful when handling items and was helpful with the move. Was friendly and professional. Luke was very helpful, considerate and polite throughout the entire move. Would definitely recommend. Thank you! Overall, I could not recommend Luke highly enough, he is a really helpful, likable guy, who offered a top rate service at a great price. Luke was running a little late (15 minutes) but phoned us well ahead of time to warn us. He helped get everything into the van, packing it all in like a jigsaw puzzle and made the rather stressful experience of moving out of our flat, as painless as possible. At the other end, he helped us take everything up three flights of stairs, quickly and smoothly. Overall, there was very little, if anything, to complain about and we are very thankful for Luke's great service. Excellent help, everything went very smoothly. Friendly, early, super helpful and just generally really nice. Driver was courteous and respectful. He had called ahead to advise he would be a little later owing to an RTA en route, however, this did not hinder the job and he (Luke) i believe, was very efficient. Thank you, i would highly recommend you to anybody needing man with a van service. excellent service, very good man. Highly recommended. Thank you very much. Luke was excellent, from start to finish. Highly recommend! Luke was absolutely amazing - he should be a personal trainer or something! He made quite a trick move a lot easier (as did his little trolly). Very highly recommended. Was 15 minutes late but called to let me know and was willing to stay later to help. Very helpful and thoughtful. Got all our stuff to our new house intact. Luke was wonderful, friendly, helpful and good company. He was efficient and fast. He was late but that was due to a slow puncture and he called me the night before to inform me. Thanks, great service. Would definately use you again and will be recommending you to friends. Luke was very polite and extremely helpful. Would definitely recommend! I had a quick and smooth moving, excellent work and well organised. Luke was great, a little late due to an accident, but this didn’t impact on the time it took to move my items, we finished early. Luke was great, he was very polite and respectful of my belongings and efficiently got my things into my flat. I would definitely use him again! Luke was an extremely efficient driver and i can highly recommend him. He was helpful and polite and the job went very smoothly. Excellent service, will use again in the future! Amazing in every aspect. The driver was great and friendly. I ordered the smallest van and it was pretty big. Absolutely great service. 6 stars. Slightly late due to the morning traffic, but that's to be expected when living in the middle of London and is no fault of the driver. He made the move extremely easy and pleasant. Would definitely recommend. Luke was great. Friendly and helpful. I highly recommend him and will probably use him again for our next move. Really pleased with how everything went with my move. The driver was very helpfull and i would highly recomend. Luke is a very friendly guy and a decent driver. Really good experience, highly recommended. Thanks again! So happy with the service I received. All my items were moved with care and consideration and efficiency. I could not have asked for a smoother move and such a good price in my eyes. Thank you for making a nervous time for me so straight forward. Highly recommend. Been amazing everything was top service will use the service again. Thanks for the smooth move. Really lovely bloke. Very personal service. Luke worked very well pleasant and efficient, even whilst getting soaking wet getting things in to the new place. Luke arrived late due to accident on A40 but kept me informed of his progress. He was friendly, helpful and happy to take a passenger with the sofa. All in all good service. Driver was extremely polite and helpful too. Top marks for superb assist. Easy, friendly and helpful! Definitely worth it and would use again. Thanks! - He let us know how long and why he was delayed. Driver was very helpful as I had some very heavy and large items to move. Great service! Can't actually remember if there were straps and blankets as I wasn't there when it was loaded. He asked for a change of time which resulted in a bit of confusion but he was very nice and helpful when he arrived at his destination. Luke's a champ. Really helpful, and has some good chat for when you get stuck in traffic. Would use again. Luke was a terrific help with our move. Punctual, progressional, and generally a nice , friendly guy. He was very nice and very very helpful. Right on time, van was great and good convo. Highly recommended!!! Luke was hugely helpful! Carried all our things down stairs and up 3 flights the other end! My driver was an absolute gentleman. I would recommend 110%! He was very apologetic about being 1 hour late. Luke was amazing and made sure I was all settled before he left. Very helpful and respectful, I would highly recommend him. It was ok. the driver was slightly late but he said because of the traffic. I had to call him to find out why he was late. the driver himself was pretty decent. As the Congestion Charge is a Government tax, we are unable to include it in the quote you receive. We do warn you that you may be liable to pay this charge on the website, and also on your email booking confirmation, which states "London Congestion Charge: If your journey begins or ends in the congestion charge zone you will be charged an extra £11.50. Not sure if you are in the zone? Contact our Customer Service Team on 020 3621 9481" and we are always happy to advise on this. A decent, friendly guy who couldn't do enough to help me with my move. Very helpful, reliable and professional. Although our drivers use the latest sat nav technology to avoid traffic wherever possible, of course, unfortunately it isn't always possible. 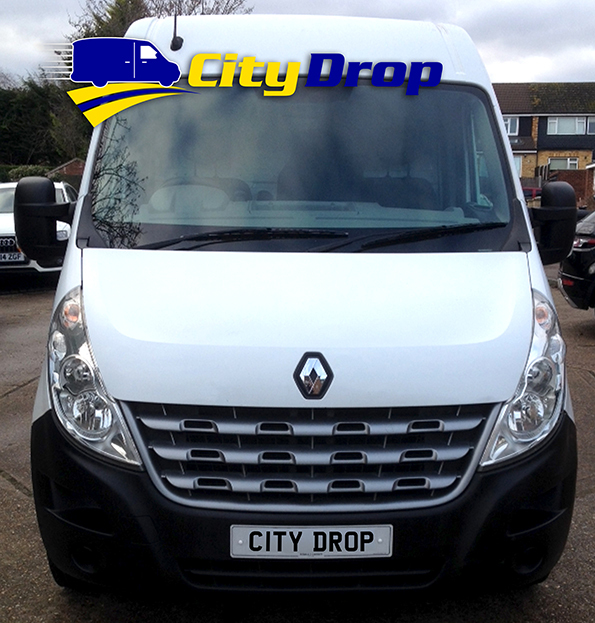 Booking a man and van service is just like ordering a taxi and although the driver will generally stop for you if the van is at a standstill in traffic for a considerable period of time, the hourly time charge cannot be stopped and started for every traffic delay. Damaged my white chest of drawers paint cane off due to not having any straps to hold down furniture and not enough blankets! I am very sorry but sometimes accidents do happen, it's part of the job. Luke was very pleasant and efficient. Moving my belongings was a breeze! Very friendly and helpful driver. Recommended. The driver was fantastic and very sociable. My move was not one I wanted to do but was forced to because of various circumstances. I'd deveoped an emotional attachment to the place I was in and I really feel that he played a huge role in lightening my burden of having to leave to a new place. With this review, I want to express my deepest gratitude for the help you provided and I will be employing your services again when the time comes. Luke, is an awesome guy, really helpful and went above and beyond to help me move my gear. Totally respectful and brilliant! I recommend him to anyone who wants a safe driver, and someone who makes your move happen easily and smoothly! Worth every pound! Cheers Luke, Jason! Very friendly, organised and efficient service. Will definitely use again. My move was quick and very smooth. Driver was extremely friendly and helpful, definitely recommend. Really friendly nice young men. Not equipped for transporting a piano! Much too heavy and no lifting apparatus at the back of the van. No trolley to get piano in the house. they did extremely well and were very polite but risked their backs I think by not having the right facilities to move a heavy object like this . Thanks for helping me doing my moving so smoothly. It was a pleasant journey. Highly recommended! Really good driver, polite, respectful and made my journey and move very easy! Thank you! punctual, professional and a pleasure to do business with. Highly recommend! Very nice and helpful driver, would definitely use again. Excellent, first class service. Prompt, friendly and helpful. Luke my driver was a great help carrying the table and chairs . It would be good if it was possible to book shorter sessions as my move only took 40 minutes door to door. My driver was only 10 minutes late so not a major issue. Very friendly and helpful though. Would definitely recommend! There was a lot of traffic as to why the driver wasn't on time but I didn't have to wait too long. He was very polite and would definitely use again. Polite and professional. Will book again. Great Service again. Luke was very helpful. Will use again. Rang to let me know he was running a little behind schedule. Super quick loading and unloading. Would use again. Super helpful and friendly! Made moving day stress free! Great team - everything went smoothly - many thanks. Really great service, friendly, efficient and helpful. Would definitely reccomend! Efficient, friendly and very helpful. New flatmate thought he was hot too! Many thanks for wonderful move! Amazingly kind driver who although I offered to help really went the extra mile and moved all my stuff carefully, quickly and even made room in my shed for my boxes. Whilst I was dreading moving I was in the end so easy and relaxed, I can thank him enough. Most definitely recommend!!! The driver from City Drop Couriers was absolutely amazing. He was kind and courteous, helpful and friendly. I would not hesitate to recommend. Driver was courteous, friendly, helpful and efficient. Pick up and journey was very pleasant. I recommend this driver 100%. The driver was very pleasant, respectful and helpful at all times. Had a good knowledge of the area I was moving too which was great. Even though he was around 15 minutes late he did text me to let me know, fortunately I wasn't in much of a hurry so it wasn't an issue. Overall a great service, i would be more then happy to use the service again and recommend to others. Big thanks to the driver, top lad! Will definitely use you again, if needed and will recommend you to anyone else who needs removal services. Many thanks. Very nice and helpful driver! The move was perfect. The driver was very kind.